The first step in preparing for a hurricane is to have a plan. Having what you need and knowing what to do can minimize damage and its impact on your life. Making a plan should involve every member of your family, including the children. When a disaster occurs, emotions run high. Having a well thought out plan will help you and your family members remain calm and in control. Homeowners should review their insurance policies with their agents. Most standard homeowners policies do not cover flood damage, and some policies in coastal areas may not cover windstorm damage. Don’t wait until the storm is approaching to upgrade your coverage. Make a list of your belongings and take pictures or videotape them. Don’t forget to inventory the garage, attic, basement and the exterior of your house, including landscaping and fencing. Include a close-up shot of the day’s newspaper to provide the date. Keep your inventory list along with purchase receipts, pictures and your insurance policy in a safe-deposit box or other safe place away from your home. Plan for evacuation. Familiarize yourself with the evacuation route and the location of shelters in your area. If you own a generator, be sure it is well maintained and familiarize yourself and the members of your family with how to operate it safely. Identify an emergency contact person that is out of range of the storm. Be sure everyone in your family knows how to contact this person in case of an emergency and you are separated. Your family will cope best by preparing for a hurricane before it strikes. One way to prepare is by assembling a Hurricane Supplies Kit. 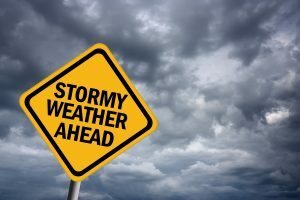 Once a storm is imminent, you won’t have time to shop or search for supplies if they are even available. But if you’ve gathered supplies in advance, your family can endure an evacuation or home confinement. Check your supplies and update if necessary. Many services such as phone or electricity may not be available after the storm. Prepare for this. Be sure your cell phone is fully charged and even if you plan to stay, fill your vehicles with gasoline in case you are forced to evacuate. Be sure to have cash on hand to last for several days as the banks may be closed and the ATM’s require electricity to be operational. Take action to protect your property – cover your windows with storm shutters, siding or plywood. Move vehicles into garages when possible, or park them near your home and away from trees. Grills, patio furniture and potted plants should be moved into the house or garage. Loose objects in your yard can become missiles, so tie down anything you can not bring indoors. Lock the windows and doors of your home. Call your emergency contact person and report your plans. If you are not told to evacuate, settle in and stay put. Keep the roads free for those who need to use them. Have your disaster kit near you in case you are forced to evacuate your home. If you are not susceptible to storm surge, go to an interior room on the lowest floor to protect yourself from wind-related damage. Stay tuned to your local TV or radio station. Stay indoors until you hear that the storm has cleared the area and conditions are safe. If you have property damage, contact your insurance agent or report directly to your insurance carrier’s 800 claim number. Make a list of your personal property that has been damaged or destroyed. Take pictures of the damaged property. Protect your property from further damage. Your reasonable expenses to protect your property are part of the loss and are generally reimbursed by insurance companies. Keep all receipts. Do not have permanent repairs made until your insurance company has inspected the property and you have reached an agreement on the cost of repairs. If necessary, rent temporary shelter. If your home is uninhabitable, most homeowners policies pay additional living expenses while your property is being repaired. Before renting temporary shelter, check with your insurance company or agent to determine what expenses will be reimbursed. WHEN CONTACTED BY AN ADJUSTER, BE SURE TO WRITE DOWN HIS OR HER NAME AND TELEPHONE NUMBER.